Tenda launched their most affordable Mesh unit in India – Nova MW3, with launch of Nova MW3 Tenda now has 2 Mesh units in India naming Nova MW6 & Nova MW3, one of which is targeting high usage capability supporting 90 users and 6000 sq.ft of coverage, while latter is more focused on giving a budget concerned person feel and experience of Nova Mesh with its reasonable price and well balanced support of 40 devices in addition to 3500 sq.ft of coverage with its 3 unit set. Both Nova MW6 and Nova MW3 are available in 3 unit set and 2 unit set to give more flexibility to buyer according to their budget. Mesh units are designed to offer wider coverage to a customer with ease of connectivity, being considered future of networking WiFi, Mesh is still building up its identity in India. Yet, many people are unaware of Mesh technology or consider it a costly affair which they can’t experiment with for now. 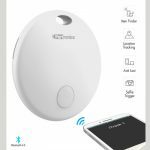 But Tenda has all set to change that, with their 2 products already dominating the market,Tenda is set to launch more models of Mesh in India which will target to different segments of users. Tenda Mesh is all focused to replace the traditional Range Extenders, PLC, Routers Bridge modes to a convenient and easy to set up Mesh technology. Tenda has stated that a huge number of their R&D is focused on studying, understanding and bringing Mesh to our day to day life, by giving products more practicality and usability, so that each customer can get a value for money product. Where Tenda MW6 has already made its name with top-notch specs at a reasonable rate, Nova MW3 is said to be unit for people who want to experience Mesh first hand without drilling their pocket. With support for Concurrent 40 users and 3500 Sq.ft area coverage, Nova MW3 is an ideal device for people owning big houses and villa, MW3 is designed to satisfy customer’s requirement of wall-mount as well as the desk-mount feature. 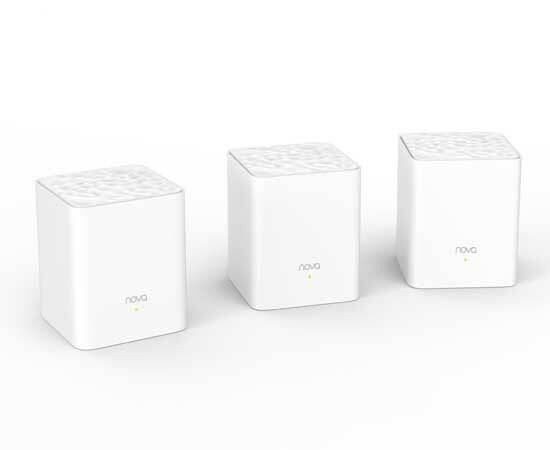 With MIMO &Beamforming technology, Nova MW3 makes sure that signals are distributed uniformly to all assigned devices. TendaWiFi app is of great assistance while managing Tenda Nova devices with comfort.